A victory has a way of sending positive vibes around. This is particularly the case of the Super Eagles of Nigeria who before the recent friendly matches had won none of their last four matches. They had been eliminated in the group stage of the Africa Nations Championship in January, knocked out of the AFCON 2017 qualifier by Egypt and have had three different coaches handle the team since the beginning of the year till date. The hurt of not qualifying for the 2017 AFCON still remains but the hope of appearing in the 2018 World Cup is still aflame pending the draws. The Eagles had pipped Mali in France few days ago but they rounded up their friendly matches with a 3-1 win over Luxembourg in Luxembourg City. Ranked 146th in the world, noone expected Luxembourg to perform any miracle against Nigeria. The Europeans were playing an African side for the first time since 2014 and they may have hoped to at least grab a draw. The Eagles had momentum on their side with the victory against Mali. 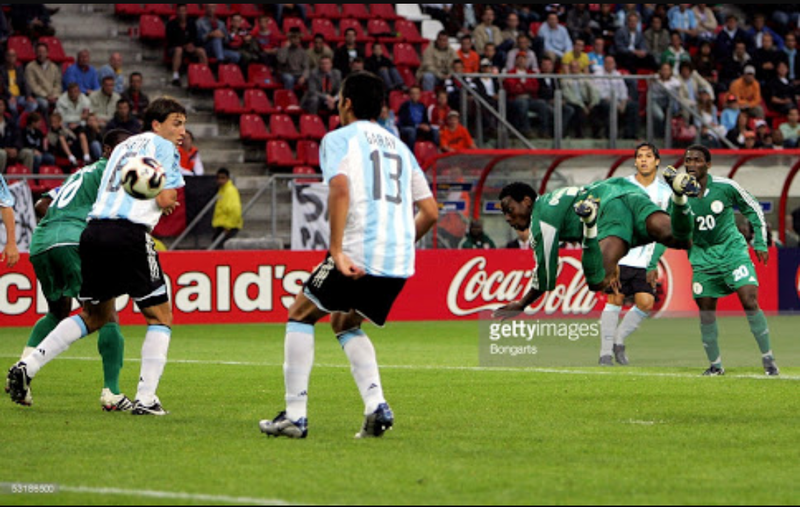 Brown Ideye marked his return to the Super Eagles with a goal in the 36th minute – his first for Nigeria since September 2013. Kelechi Iheanacho continued his impressive form with a goal in the 69th minute – his 2nd in 2 games. Thill’s 89th minute goal for Luxembourg was widely celebrated in Luxembourg but Ighalo’s 91st goal was a relief to Nigerians who had forgotten what it is for him to score for the national team. The victory is a minor relief to the recent disappointments from the Super Eagles. It gives hope to future and a window for the younger eagles to be pillars of the new Super Eagles. Hopefully the victory gives us a push in the FIFA ranking and a better World Cup qualifying draw. Will Salisu Yusuf remain in charge? There will be two rescheduled matches in the Nigeria Professional Football League today. Wikki Tourists will host Enyimba in Bauchi while Rangers travel to Maiduguri to play El-kanemi Warriors. Expect to have a new team at the top of the table today. The UEFA Euro 2016 is fast approaching and teams have released their final squads. There will be 10 Gunners in France – Cech, Szczesny Rosicky, Xhaka, Ramsey, Bellerin, Ozil, Wilshere, Giroud and Koscienly. Xhaka has changed his Arsenal jersey number from 16 to 29. Is there a number crises in London? It is a new month. Happy birthday to Chinedu Obasi Ogbuke. Remember his goal against Argentina in the U-20WC final?